Land Art Festival Day – public drop-in and create. Join internationally acclaimed Environmental Land Artists Richard Shilling and Julia Brooklyn, making art for fun. 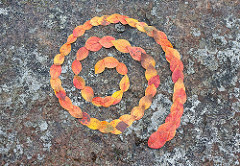 Land Art combines creativity, team work, quiet contemplation, running around in the open air, discovering the seasons, looking, making, patterns, counting, measuring , colour ……fun. Drop in for half an hour or all day and enjoy to space, make, look or just breathe in the air. Textile artist Jutta Stahlhacke will lead four relaxed and creative workshops to make beautiful things out of your old and tired clothing and scraps. 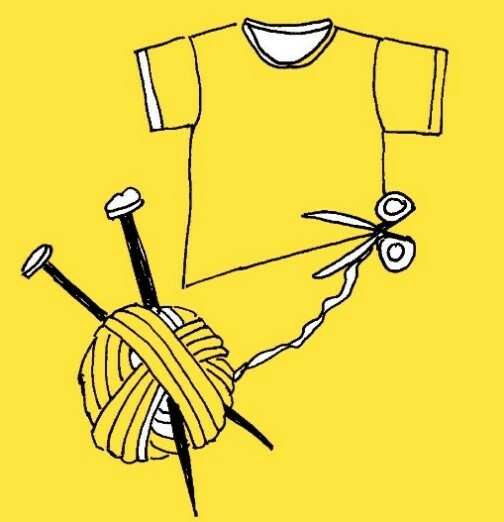 Each two hour session will help you transform your stuff and unleash your creative threads!